November 1945. 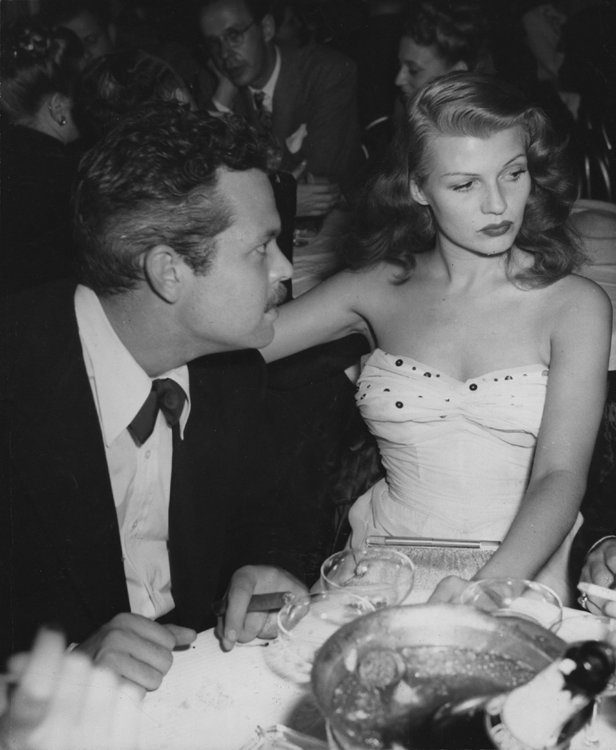 Orson Welles and Rita Hayworth, at the zenith of their careers, are out on the town. But things aren’t going well. He is giving her the most furious look, she is wearing a moody pout that’s even sexier than her boned and strapless gown. According to the snipe on the back of the photo, ‘The actress said in Hollywood, she will divorce Welles, after two years of marriage.’ In fact it won’t be until 1947 that the couple will be granted a divorce. Looking back years later, Rita will call Orson the great love of her life.